Southern Ontario’s largest wedding show, the Wedding Extravaganza Show is a destination wedding show attraction marking 33 years in 2020. This two-day event has over 200 exhibitors displaying products and services for your upcoming wedding or special event. The exciting format is spread over 2 floors of the Caboto Club and is the wedding show where you will find absolutely astonishing and countless selections for your wedding needs and budget. 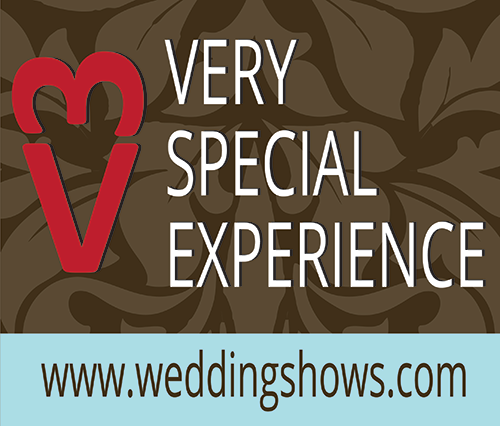 Register to receive a $2 off single show admission coupon to all our upcoming wedding shows. Pre-register to receive FREE gifts & a $2 off single show admission coupon to our upcoming Fall Wedding Show. We will once again offer the Very Special Experience Show Ticket in 2020. 125 Limited Online Purchase Tickets for admission for up to 5 guest & including a Box of very special gifts valued at over $600. Available for purchase by November 15th 2019. The Wedding Extravaganza Show is “The Big One” and is known for its imaginative showcase of the newest products and services in the local wedding market. We love sharing wedding inspirations! Our Inspiration Room gives you the opportunity to use all of your senses and see, feel, smell, taste and hear what your wedding day can be like. Follow us on Facebook, Instagram, Twitter, and Pinterest where we keep you up to date with the creative ideas our vendors generate and the specials they offer throughout the year. We also provide wedding couples with up-to-date wedding information and trends to ensure planning your big day is stress free. Our fabulous Inspirations Boards will also give you a taste of the sensational show attractions and fantastic exhibitors awaiting you at Wedding Extravaganza '20. We love to give you continuous wedding inspiration throughout the year and showcase our wedding exhibitors. Our Inspiration Board pictures will give you a taste of all that will inspire you at the Wedding Extravaganza Show. Visit our show attraction The Interactive Wedding Gallery where one room will be transformed into an oasis filled with dreamy wedding décor ideas, wonderful wedding fashions, ingenious wedding tabletop décor trends, inspiring live music, and complimentary tasty gourmet delights to sample throughout the day and the most innovative décor and lighting display imaginable. 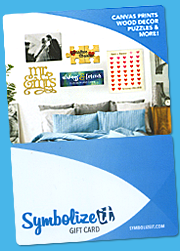 Come see the newest décor trends with our InstaGLAM walls and Table Top Décor Displays. See stage demos featuring live musicians, fitness demos and talented artists. Excite your tastebuds at our Tasting Station where you can sample some of our Caterers, Venues and Wineries tasty sample size bites and refreshments. More prizes...more lucky couples will win!! 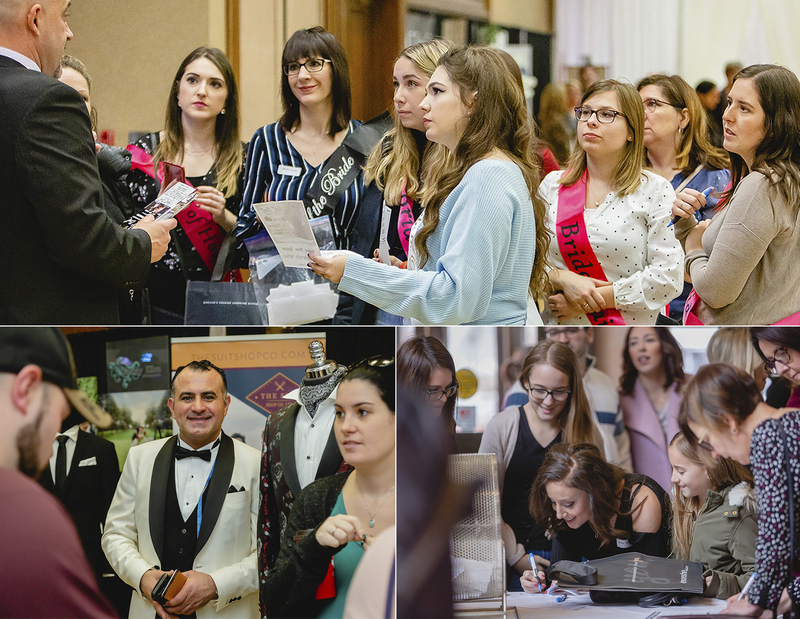 Each year the Wedding Extravaganza Show has the largest prize and giveaway package of any wedding show in Southern Ontario. One lucky couple will win the Grand Prize vacation getaway. The 2019 7 night luxury stay at Dreams Palm Beach Punta Cana (make a link and bold) by Goilger’s Travelplus (make a link and bold) was valued at $6000.00. With another 19 Aisle Prizes valued at a minimum of $500 each, Bridal Confidential Cover Draw POINT Contest, Devonshire Mall InstaGLAM Gift Card Giveaway, Retro Suites Social Media Contest and Very Special Experience Prized Giveaway, SymbolizeIt.com gift card, free new issues of WeddingBells magazine and a plethora of Booth Prizes, the Wedding Extravaganza Show gives away over $130,000.00 worth of prizes & FREE giveaways annually and every couple walks out the door a winner!! We can’t wait to roll out some exciting new elements of the show as January 2020 approaches to celebrate 33 years with you. Don’t miss the chance to walk through the show and win one of the many prizes up for grabs at "The Big One" and collect your FREE gifts too!! EASILY ENTER ALL PRIZE DRAWS & GIVE YOUR INFORMATION TO VENDORS WHO YOU WANT TO MEET WITH. Register online at www.weddingshows.com by Thursday January 16th and we will have customized mailing labels ready for you to pick up at the door to use on all the Prize ballots making the experience of filling out ballots a breeze. **TIP-We suggest you may want to create an email just for your wedding email correspondence so all your wedding planning can be done from one email address. BONUS If you pre-register for the show no later than Friday January 18th at noon, we will also provide you with mailing labels to enter all the prize draws throughout the show!!! Look what we gave away at the Wedding Extravaganza ’19 Show! 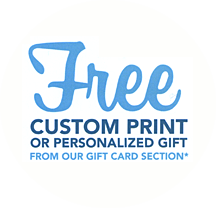 Free Gift Card for a CUSTOM PRINT or PERSONALIZED GIFT from their gift card selection page. Value up to $200. Wedding Shows Windsor will give every couple who brings in their Save the Date card a FREE Very Special Gift (While quantities last). AM800 and Williams Food Equipment will be giving away the ”All New” Vitamix Explorian E310 Blender. Released in March of this year it is 2 HP and comes with a 48 Oz container. Perfect for making morning smoothies together as a newly married couple!! Post your pics to Instagram and hashtag #weddingshowswindsor #devonshiremall along with the backdrop decorator. 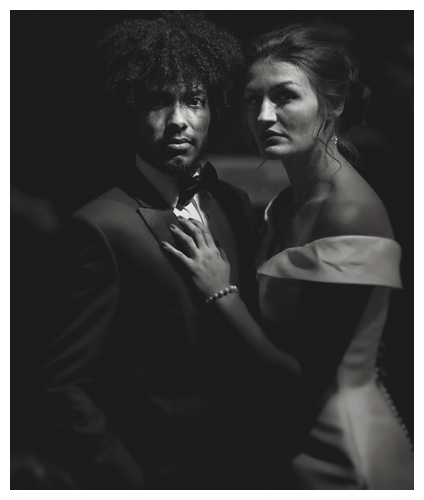 The person who posts the BEST picture (as judged by Wedding Shows Windsor staff) will win a $200 Devonshire Mall Gift Card. Also drop off a Prize Stop Ballot in the Interactive Wedding Gallery to enter to win an additional $300 Devonshire Mall Gift Card. #2 Buy one of our exclusive Very Special Experience Tickets to the show and get a ballot to win the second 1 Night Stay-limited to only 200 ballots!!! Share and Like Contest-2 prizes!! Bridal Confidential holds three online Cover Bride Contests - one from Windsor/Essex, one from Sarnia/Chatham and one from London/St. Thomas area. All three grand prize winners will appear on the Cover of Bridal Confidential's next issue, enjoy two full days of pampering and all 3 grand prize winners receive an all-inclusive Trip for Two sponsored by Air Transat and Travel Agents In Action (Total value of $10,000 ). 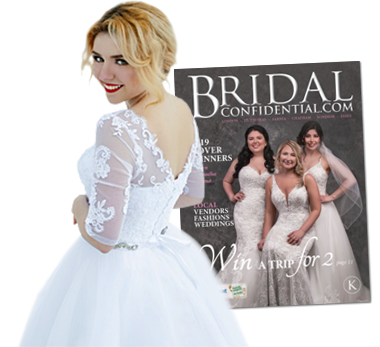 Visit Bridal Confidential's booth to get your 'free' copy of their latest magazine, enter their Cover Bride Contest and receive 1,000 Points for attending Wedding Extravaganza and enter a draw to win 1,000 additional Points. 7-night stay at Dreams Palm Beach Punta Cana, including resort taxes. Men's Orlean watch with a leather band and rose tone dial & Ladies 14k yellow gold CZ tennis bracelet. Custom suit/tuxedo with a custom made shirt to measure from luxury Italian wool and your choice of details and fixings. All Inclusive Bachelorette Party Package (with option of photography add on). Win the cake of your dreams! Pick up your FREE gifts WeddingBells Magazine, SymbolizeIt.com Gift Card valued at $200 & your special gift from Wedding Shows Windsor. 5 hour limousine ride in your choice of vehicle including their Hummer and Bus. Exit at County Rd 46 and turn right on Walker Road. Follow Walker Road to Tecumseh Road. Turn left on Tecumseh Road. Take Tecumseh Road to the 4th stoplight. Turn right onto Parent Ave. The Caboto Club is directly in front of you. The Caboto Club is located just 7 minutes from the tunnel exit. Turn left out of the tunnel onto Park St. Turn left at the first light - Ouellette Ave. Follow Ouellette Ave to Tecumseh Road (6 stoplights). Turn left on Tecumseh Road follow Tecumseh Road to the 3rd stoplight. Turn left on Parent Ave. The Caboto Club is directly in front of you. The Caboto Club is a 12 minute drive from the Bridge. Take Huron Line to Tecumseh Road West. Follow Tecumseh Road west around the bend and over the railway tracks follow TecumsehRoad through to the 5th light. Turn right on Parent Ave. The Caboto Club is directly in front of you. LIKE us at Wedding Shows Windsor on Facebook and Instagram to keep updated on all our show news and see our vendor’s special offers throughout the year.